The campaign to prevent maternal mortality in Uganda is increasingly challenged with the factors that unfold daily. As different stakeholders fight to prevent maternal deaths, expectant mothers continuously run away from the health facilities that are expected to provide basic services to them. Massive shortage of trained, motivated and equitably deployed professional health workers to attend to births, lack of access to emergency obstetric care, lack of access to quality antenatal care, and lack of access to family planning services, haemorrhage, sepsis among others have been identified as some of the leading causes of maternal mortality in the country. But, today safety of new-born babies within the public health facilities can also be attributed to the maternal mortality rate. Musimenta Jennifer is one of the few outspoken women that came up to report her case. Many more have suffered the same fate but never come out to speak. Musimenta delivered two children on the 14th day of March 2012 and was informed that one child died but she never saw the body of her child. She demanded for her medical records all in vain. She moved up and down with the mortuary attendant looking for her child in vain. Up to present day, she has one child even though her discharge form shows that she delivered twins. “We looked for the body of the second child for three days and on the third day, the nurse gave us a fresh baby wrapped in a box. I refused to take the body because it was wrapped in clothes different from what we had given the nurse that helped my wife deliver. The body looked so fresh yet the nurse claimed she had put it in a box immediately after delivery. I went to police and was advised to take a DNA test which I took and the test revealed that the DNA component from the sample of the dead child was not related any of us” Michael Mubangizi the husband to Musimenta Jennifer narrated. The couple approached the Centre for Health, Human rights and Development (CEHURD), whose Vision is to realize social justice in public care systems in East Africa. 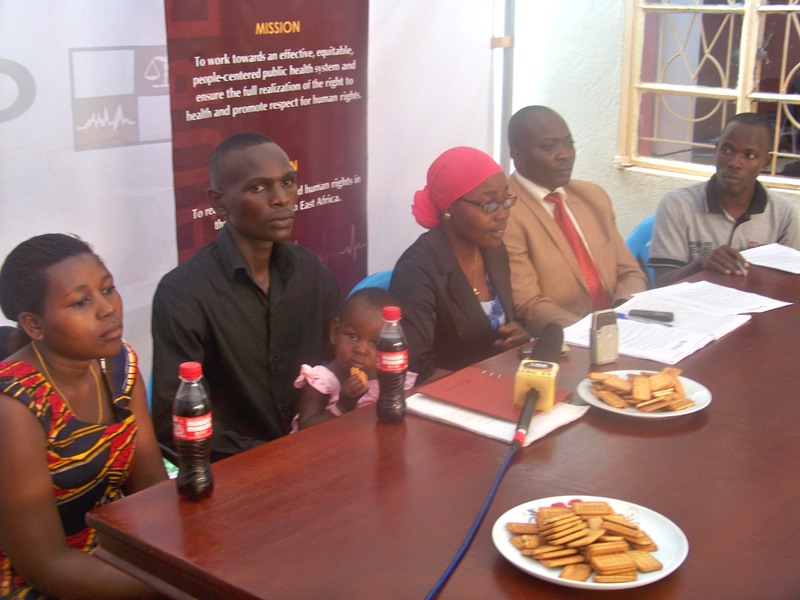 CEHURD decided to institute a case in the High Court of Uganda for rights violation (Civil suit No.212 of 2013). Just as CEHURD was in the final stages of filing the case (Case was filed on 18th July 2013), the Uganda Medical and Dental practitioners council passed a ruling (10th July 2013) in which it “barred Dr. Asinja Kapuru from carrying out any form of medical practice in Uganda for a period of two years” Page 5, last paragraph of the ruling. Dr. Kapuru had been reported by Mr. Bukenya and Ms. Navbakiibi in 2006 for loss of a baby at mulago national referral hospital. The couple delivered a baby boy by cesearean and was given a dead baby girl despite the fact that medical records showed the reverse. This system “failure” has and will largely contribute to maternal mortality. Instead of women going to facilities for safe delivery they will shun them for fear of the safety of their new born babies. This is coupled with many other complications including fistula. There is need to sensitize not only the community but also health workers and the public on their rights and responsibilities. Health workers need to be reminded of their obligations towards patients and that they swear before being licensed to practice.